Last time i thought vanilla essence and vanilla extract is a same thing.After Wendyinkk post her homemade vanilla extract,i only know that they are different.She say vanilla essence is not a real thing.It fake.Very scary. I tell my colleagues about it.So we make a decision to make our own vanilla extract.Not hard to make.The better vanilla pod,the better taste of the vanilla extract.We not using the expensive vanilla pod.It only cost RM 5.00 per-pod.We using 4 vanilla pods.Vodka only cost RM 11.00.All together only RM31.00.Cheap,right?Only RM 31.00 you can get a real thing. Split the vanilla pod lengthwise and put in the vodka. 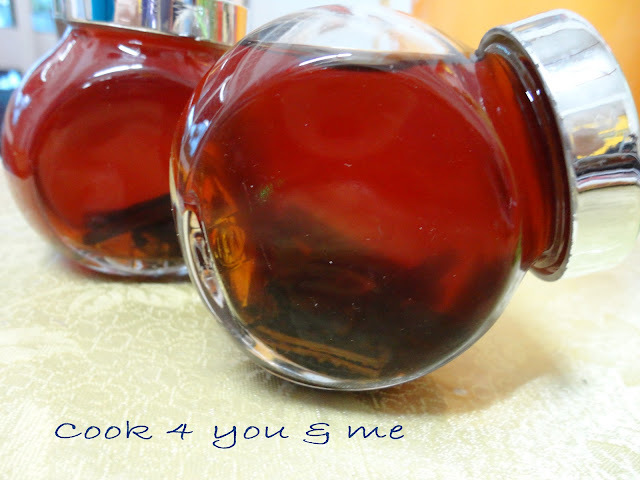 Place the bottle in a dark and cool place ( Not in the fridge ) until it turn dark and like strong tea colour. It take about 3 months. Shake it time to time. Easy,right?You can but the cheap vodka at Tesco or Chinese medicine shop.Make sure the vodka is pure,not with fruit flavor. All my baking now is using homemade vanilla extract too, so fragrant and good! Actually anything with the word "essence" is fake. Last last time, I never knew we could make our own. Where do you get the vanilla pod that only cost RM$5.00? Tesco selling about $9.00 (if I am not wrong). where I live they sell vanilla sugar-it is also absolutely a fake! Hi Hody, How r u? Mind i ask do you make homemade mooncake ? 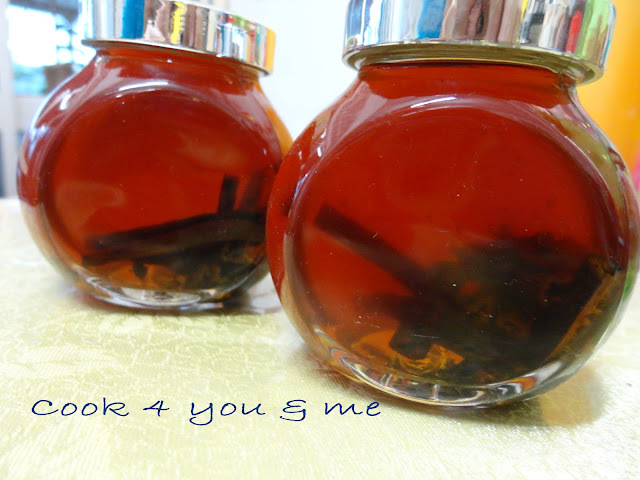 Thank you for your sharing about vanilla extract. I just was try use vegetable glycerin as alcohol substitute in the making of vanilla extract.